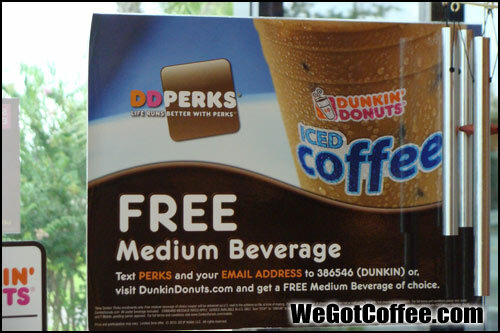 How you can get a free coffee, or any other beverage from Dunkin Donuts. This was seen on the entrance door to a Dunkin Donuts shop. Texting your email to DUNKIN (386546) can get you a free drink.